Liquid Concepts offers everything you need for successful water transfer printing -- including our industry-leading hydro dipping tanks. Our extremely sturdy and well-made hydro dipping tanks are designed to be easy to use, easy to move, and quiet to operate. These tanks have a customizable name plate on the front where you can add your logo if you are in the hydrographic printing industry. 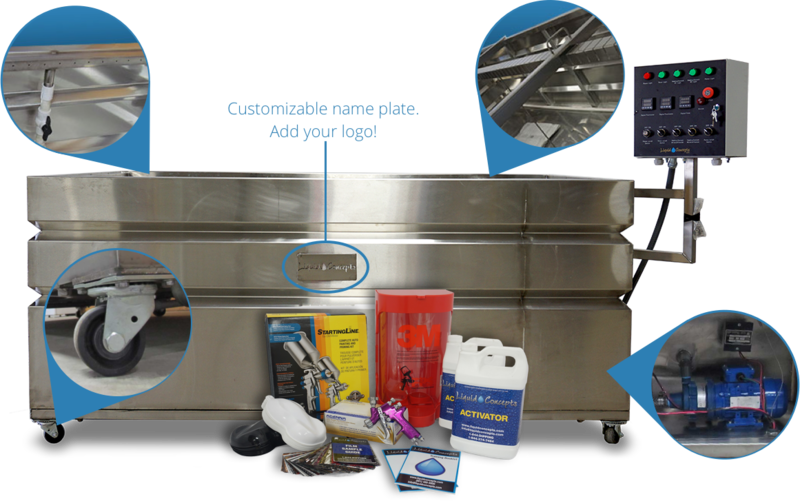 With our water transfer printing tanks, you get everything you need to get started in one turnkey package, including film activator solution and film baffles. 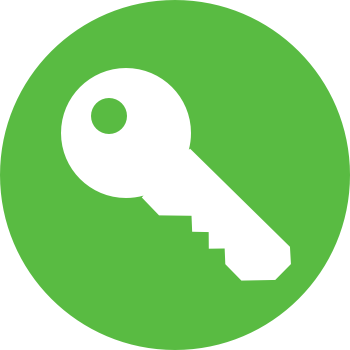 You also get the benefit of our industry experience and lifetime warranty. We want each and every one of our customers to be happy with our hydro dipping products! Liquid Concepts Water Transfer Dipping Tanks are the best in their class! We set the standard for the Hydrographic industry. 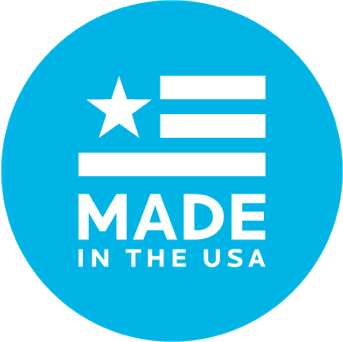 Our 100% Made in the USA tanks feature high quality 304 Stainless Steel throughout. These tanks will stand the test of time. Our hydro dipping tanks have proven to be very dependable and require little to no maintenance. We stand behind our equipment 100% and offer a lifetime warranty, so if you ever do need assistance, Liquid Concepts will be there. Our tanks come in a variety of sizes, but we can also custom design a water transfer printing tank just for you! Shop our selection of tanks today and let us know how we can help you. Free training for 2 individuals with a discount for each additional attendee. View our available trainings. All of our tanks include a turnkey starter package that includes everything you need to hit the ground running. 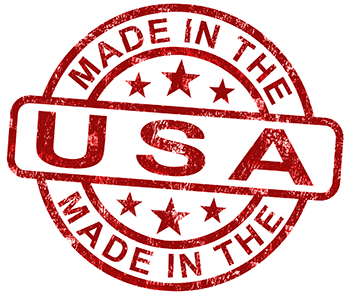 All of our tanks are 100% made in the USA. 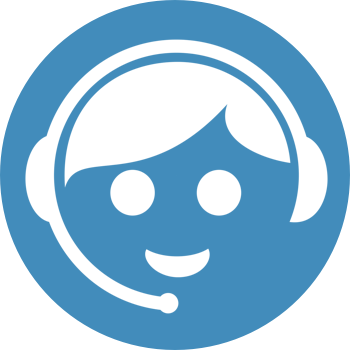 Receive personalized, detailed one-on-one customer service and technical support from our hydro dipping experts. We believe in our Liquid U Alumni! 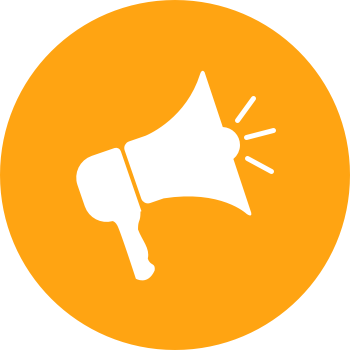 Get listed on our Authorized Decorators page and when we receive calls for decorators in your area, we send them your way! With the purchase of a tank, receive 10% off all future orders with Liquid Concepts. 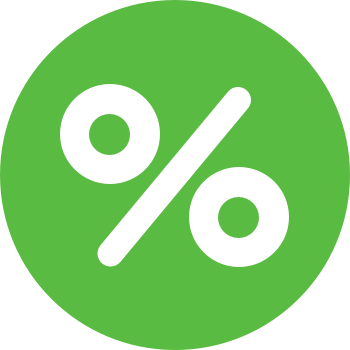 This means a discount on all films and supplies for life! Our warranty is very simple, if it breaks we fix it, if it goes out we replace it. No other warranty from any other manufacturer can come close to this. All electrical components are covered by a 5 year warranty. 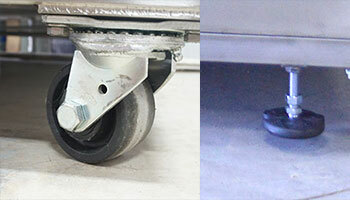 Casters - So let's start from the ground up with our tanks to show you why we have the best tank on the market. All of our tanks are fitted with a professional grade heavy-duty rolling caster. These casters are built to hold the weight of the tank as well as the full weight of the water inside the tank, which can be thousands of pounds. Other companies use cheaper casters which are not designed to hold the weight of the tank and the water which means catastrophic failure that could result in personal injury in years to come while using your tank. The Liquid Concepts casters also have greasable ball bearings which gives you the best quality in casters and means better durability and longevity for the entire life of the caster itself. The bearings inside the caster are high grade steel and precision built to allow a smooth rolling motion to give our tanks the ability to be moved from place to place with hardly any effort used in pushing the tank. Leveling Feet - Every Liquid Concepts tank also offers leveling feet. This helps in leveling the tank to give you the best performance with your hydorgraphic tank. This is also very helpful in making sure that if your area is not level or the support underneath the tank is not level, the leveling feet will fix this issue. Liquid Concepts only uses high grade stainless steel leveling feet to help get you the best possible tank on the market. Every leveling foot that we offer comes with a swivel designed to make sure that even on the most un-level surface, this foot will have a 360 degree pressure around the floor. our leveling feet are fully rated to carry the support of the water along with the tank itself to make sure that you get the best in quality and design that will hold up for the life of the tank. Framework - To make our tanks last for years down the road, it all starts with a good foundation and with our foundation its all built in the framework. Our frames are built out of a high grade stainless steel square tubing to make sure that everything that we build is fully supported and holds the entire weight of the tank and the water inside the tank, which can be thousands of pounds. Every joint on the framework is mitered and TIG welded to give you the best possible solution for durability and longevity in a hydrographic printing tank. As well as the framework underneath the tank we also have lateral sections going from front to back to also support the bottom of the tank. Structure - To make this tank be like no other, Liquid Concepts has added structural breaks inside the tank itself to give you the easiest solution in draining your tank and getting all the water out the first time, and not having to brush it out or move the tank to get the water to go inside a drain hole because there is no support underneath the tank. Every wall of the tank has a structural break in two or three places depending on the model and give you a very rigid and very sleek looking design to make sure that this tank does not bow outwards with the weight and force of the water pressing against each side of the tank. The brakes we have added to our tank sidewalls give you the best solution in getting the best durability and longevity out of your tank itself. All of our tanks are fully TIG welded for a smooth perfect finish. This gives you a professionally built tank that looks and performs the way that it should. The tops of our tanks are broke 180 degrees to give you a nice 2" lip to rest parts on as well as giving you plenty of room to place your film dividers. This helps in having your dividers set on top of the tank as well as not cutting into your arms while you're dipping. You can also hang parts off of the side walls of the tank because of the top lip. Compact Size - The tank itself has a very sleek and modern design while packaging everything in one compact unit with no external pumps heating elements or anything protruding outside the tank. This gives our tanks a unique feature that you won't find on other tanks on the market. This helps save space and is able to fit in more places when space requirements are a factor. Because our pumps and heating elements are placed inside the tank and not external to the tank, this gives a quiet and more efficient design to the end user. Front Panel - Every tank built by Liquid Concepts comes with a water jet cut name plate to showcase the "Liquid Concepts" logo. This can also be customized to any business logo as well to make sure your tank stands out and looks the very best when customers see the machine. Spray Bar - We have completely redesigned this tank from the ground up including our spray bar design with every tank that we manufacture. A lot of companies will give you just PVC with holes drilled in it and this is strictly just a cheaper alternative to a cheap tank. Liquid concepts goes the extra mile to give you a full stainless steel square tube with laser cut holes to give you the best in rinsing and water spray. We have also incorporated a drain valve on each side of our spray bars to make sure that if anything does get inside your pump or spray bar housing, it can be flushed out by opening up one of the valves built into this. Piping - All of the piping inside the tank is made out of a high quality schedule 40 PVC with fully glued and welded joints and ends. If anything does happen to break, we have built in connectors to disconnect any piping on the tank and remove it and replace it giving you the easiest possible solution for field work or maintenance if this does occur. 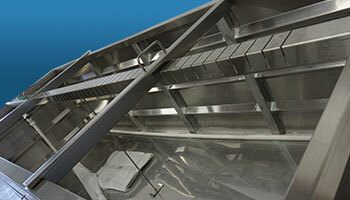 Filter Tray - Our filter tray is custom built from scratch from a single piece of stainless steel sheeting. It is cut from a water jet CNC to give our customers the best quality in fitment and design. The filter tray is made to hold the filters and filter out all of the excess trash, debris and tape that is used while dipping an item. With our custom cut holes specifically placed in the filter tray, this gives greater reliability and pass through with the water. We also offer custom handles on the tray for easy access in removing and installing the tray. Pump - Now it's talk about pumps, Liquid Concepts has searched all over the world for the best quality pump to add to our lineup of professionally built tanks. We have used all types of pumps and have found one that we feel will give you a high quality design along with durability and reliability. 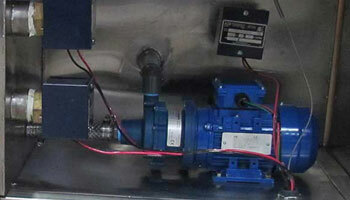 Our pump will also give you a low cost energy saving feature with this pump. Our pump is a high quality magnetic drive centrifugal pump that pushes more water than even some 1 horsepower pumps on the market. Because the manufacture of this pump is so dedicated to their product, they offer a full 5 year warranty from the manufacture on this pump itself. With this pump you're able to move more water which means getting a cleaner tank as well as being able to get more dips in one day by cleaning the water and the excess film off of the tank quicker and more efficiently. This pump also comes with dry run capabilities which means if you accidentally run this pump dry for extended amounts of time, it will not damage or hurt the pump unlike other manufacturers have with their pumps in their tanks. We all know it can happen so we make sure that it doesn't happen with our tanks. This pump is normally ran off of 220 volt which gives this design a better efficiency and more power savings while using it. With a fan cooled motor on the back, this will give you years of pumping with little to no downtime or maintenance required from the end user which means more profit and less labor on maintenance or fixing expensive repairs that other pumps may incur while using them for only short periods of times. Heating Elements - To make sure that you get the best quality tanks on the market, we have search and for some of the best quality heating elements in the market. We believe we have some of the best heating elements to give you the best in reliability and performance. Our heating elements are built for full commercial applications and have proven themselves to be very reliable and almost 100% maintenance- free for years. While other manufacturers are using a lower grade heating elements from local plumbing stores that last maybe a year or two, we chose to go a different route and make sure that you get the best in quality and longevity for the entire life of the unit itself. 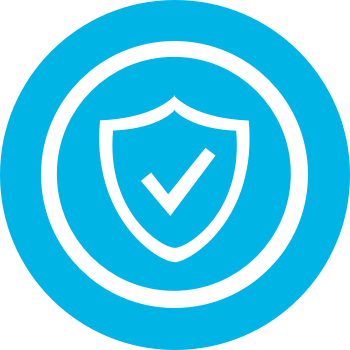 We stand behind our heating elements and other products 100% and that's why we offer a full two year warranty on every single thing that we produce. The heating elements are a screw plug design which means less space requirements are needed and it gives you the best in reliability and performance for any type of heating element on the market. Our heating elements are built to withstand time and making sure you get a quality product. 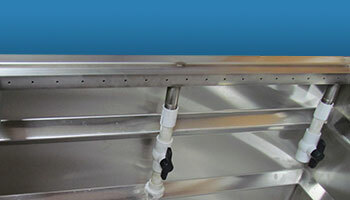 While some heating elements are built with only one or two rods, ours are built with at least three and when you see the difference from our heating element to other tank manufactures heating elements, you'll see why we are number one in tank manufacturing and sales for water transfer printing. With all of our heating elements being built in a 220 volt design, this gives you more power with less amp draw from your control panel which means more heating and less money to spend on heating your water to keep your tank at temperature. Because all of our heating elements are built on a commercial grade platform, this gives you better reliability and years of performance with almost no maintenance required for the end user. After years of research and development, we have made sure that these heating elements are larger and more watts with better materials to make sure that you get the best in performance and reliability. Our heating elements have some of the lowest watts per square inch on the market which means less heating per square inch and more longevity for the entire life of the heating element. Insert small picture of heating element and our heating element for comparison. Control Panels All of our control panels are custom-built for every tank which means a sleek design and better performance to the end user. Every control panel is made with quality components that will last you for years to come. 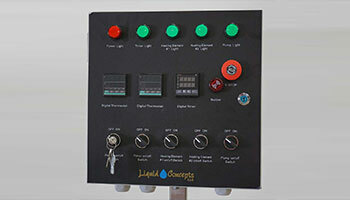 All of the tanks Liquid Concepts offers has a wide range of features on the control panel that sets us apart from any other manufacturer. We offer state-of- the-art panels for any individual or business needs. Our standard control panel comes with a PID controller (Temperature Controller) to control the reservoir temperature of our tanks along with a PID controller to control the dipping area temperature of the tank separately. This gives our tanks the ability to have different temperature ranges in each side of the tank which means faster startups and even more precise temperature control. We also offer quality-built timers to control hours, minutes, and seconds when needed. All of our units are very easy to work and have standard push button or turn knob designs to give the end user a simple yet sophisticated design while maintaining a very high reliability. We also offer a buzzer on every panel to complement the timer for when the timer goes off, the buzzer will sound to allow the decorator to know that time is up for processing the film. There is also a pump control switch to allow the decorator to control the time the pump is turned on and off from the unit. Along with this, the control panels also has a power control switch to turn the main power on and off. Some units will also have an emergency stop just in case anything would ever happen in an emergency the unit can be cut off directly at the control panel and not at the users control panel on the building. Wiring - All the tanks are wired with industry standard 600V copper stranded wire. Every wire ran is sized appropriately according to the industry standard. This makes sure you have no troubles with overheating or burning of wires or even electrical components. Each wire group is individually wrapped per item it is connected to and them wrapped as a whole again. This ensures better efficiency in the wiring. For the outside of the tank, the wires are pulled through a liquid tight conduit to make sure every wire is protected from the water used in this process. Each fitting from the control panel and the underside of the tank are screwed in and sealed to make sure everywhere outside the tank, it is fully protected from the elements. This ensures the tank to be as maintenance free as possible for years to come. Film Divider System - With every tank purchase Liquid Concepts also provides a full set of divider systems for your film control. These have been designed to give you the best possible solution for containing your film while sitting on the water and even washing the film off the water. Our design will allow users to be able to control the film in a better manner while still maintaining the best control on top of the water. All of our divider systems are cut on a one-inch increment to give the user better control and more reliability to help prevent film stretching and film containment. Other tanks on the market only give you just a few slots every feet which could add up to extra film wasted each time you dip an item. Every divider system is made from quality 304 stainless which means the decorator will have an easier time cleaning the dividers and will get years of use before any wear or tear is seen on these items. This also makes it very nice for cleanup and maintenance because these can be sprayed with any chemical and then scrubbed with a scotch brite pad to be thoroughly cleaned. Other companies that offer tanks may give you aluminum or galvanized dividers which will over time start rusting or oxidizing which means you have to throw these away after a certain time because they will become unusable. This means more headache for the end user in the long run. Our divider system is also built very strong and sturdy. 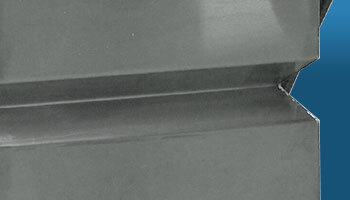 With our unique design were able to push on the bars quite hard with little to no bow on the length and the width of each divider. Other companies overtime will start to sag which means it makes trying to divide the film and use the slots correctly a lot harder because the slots get smaller because of the moving of your main bar. This could also lead to the dividers going under the water and leaving your film to be able to expand past the limits of what you wanted. Our dividers come standard with heavy duty handles to make moving and cleaning very easy and efficient.